Canada is one of the largest mining nations providing a variety of jobs at all levels, but in an industry dominated by men, mining and mineral processing has the least amount of women employed worldwide. Women in Mining (WIM) Canada is looking to change the mining community and promote women in the industry. This year on March 6th, ABB proudly provided sponsorship in a world-first collaboration between, International Women in Mining (IWiM) and WIM Canada, to launch the first International Women in Resources Mentorship Programme 2018 (IWRMP). The IWRMP’s 2018 cohort is composed of 42 remarkable females from resources based companies in Australia, Canada, Chile, Congo, Ghana, Guyana, Mexico, Mongolia, Namibia, South Africa, Spain, Tanzania, UK, USA, Zambia and Zimbabwe. Its objective is to empower women working in the mining resources industry and enhance career prospects by developing productive mentoring partnerships worldwide. Utilizing experience and expertise Dr. Ali Burston, the Managing Director of Metisphere, developed a structured and solutions-focused mentoring program for the women involved. Earlier in 2017, ABB in Canada was approached by Women in Mining (WiM) on behalf of the international mentorship program, seeking senior mining global executives as mentors for the female candidates. ABB’s Remy Lanoue, Hub manager North America, was selected as a Mentor for a candidate based in Zimbabwe. Lanoue is a strong advocate for equal rights in the workplace and stated, “This is a great opportunity. I am convinced that diversity brings depth and richness to an organization and also mining is an industry that I feel privileged and proud to have been part of for the last 20 years and I am very happy to give back”. He will be an active mentor for the next 6-9 months, using skype and telephone to keep in contact with his mentee. 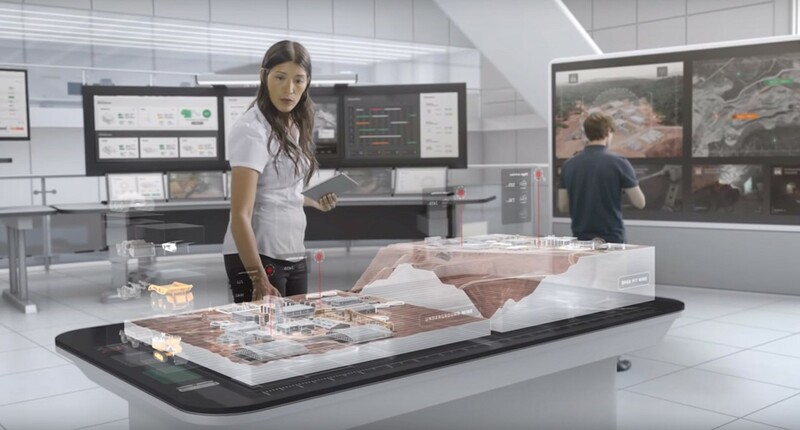 ABB believes women in the workforce are a major driver for the growth and development of economies and societies in every country, at all performance levels. Since 2012, ABB has been partners with the Women’s Forum which brings together leading members from government and business sectors to share new perspectives on current commercial, political and social questions. The goal is to internationally create a powerful network to strengthen the influence of women and to draw up innovative and concrete action plans to encourage women’s contribution to society. Additionally, in partnership with Catalyst, ABB hosted a conference in Montreal last May encouraging men to support gender equality. Catalyst is a global nonprofit founded in 1962 that works with leading companies to create an inviting and beneficial work environment for women. The leadership event featured key speaker Dr. Michael Kimmel, the Professor of Sociology and Gender Studies at Stony Brook University, New York. Focusing on Engaging Men in Gender Initiatives: Sharing and creating Opportunities for Women. The presentation promoted the importance of inclusion and diversity in the workplace and the President of ABB Canada, Mrs. Nathalie Pilon also spoke on the importance of diversity, inclusion, and the critical role that men play at work. Showing there is great value in forming partnerships worldwide, ABB continues to be a leading advocate. With a workforce made up of more than 147,000 people from 140 different nationalities, diversity is recognized as a key competitive advantage and that gender diversity ensures fair and equal representation at the core. ABB develops talent regardless of race, religion, ethnicity and gender.